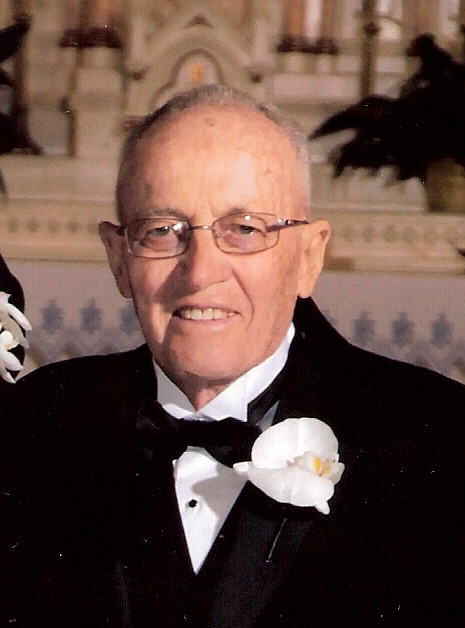 Donald G. Alguire, 84, of DeKalb Junction, died, May 5, 2012, at the Canton Potsdam Hospital. Calling hours will be Tuesday, May 8th, 1 – 3 and 5 -7 PM at the funeral home. The funeral service will be May 9th, 1:00 PM, at the United Church of Richville, Pastor Karen Taylor officiating. Burial will follow in the Maple Grove Cemetery, Richville. Donald is survived by his wife, Barbara E., sons, William D. Alguire, DeKalb Junction, Brent J. (Erin) Alguire, Canton, a daughter Sherry J. (John) Burke of Harrisville, a brother, Kenneth (Lois) Alguire, DeKalb Junction, grandchildren, Emily (Derek) LaPoint, Russell, Ryan Hamilton (fiancé Ellie Zieser), Chatfield, MN, great granddaughter, Peyton LaPoint, Russell, several nieces and nephews. He was predeceased by brothers, Harold, Maurice, Clarence and Lyle Alguire, sisters, Hazel LaRue, Helen Conger, Joyce Weaver and Mary Lou Alguire. He was born April 16, 1928 in the Town of DeKalb, the son of Harry and Annabelle Thompson Alguire. He married Barbara E. Jennings, October 26, 1947 at the Jennings family home with the Reverend E.J.W. Burston officiating. He and his wife bought the Jennings Family Farm which they farmed until he retired and then he was a custodian at Hermon DeKalb Central School. He loved his family, especially his grandchildren and playing with his great granddaughter. He was a good person and loved being outdoors. Contributions can be made to the United Church of Richville and the DeKalb Junction Volunteer Fire Department.